The"Bisag Saging Basta Loving" Project of the Municipality of Talibon, Bohol, Philippines was launched during the 115th Birth Anniversary of the late Pres. Carlos Polestico Garcia on November 4, 2011. The target beneficiaries of this project are the farmers of the Municipality of Talibon. The affair was graced by Mr. Isabelito Tongco, representative of Governor Edgar B. Chatto. “Tatay Billy”, as the Boholanos fondly call him, was sent by the Governor to oversee the distribution program. 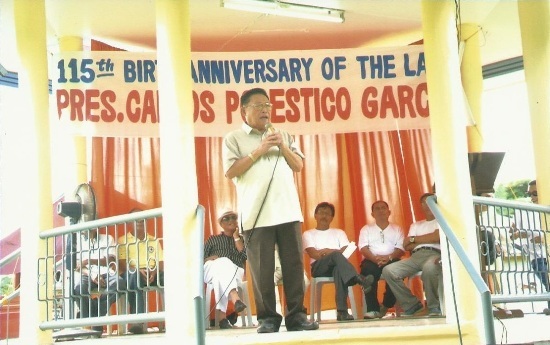 Several projects, spearheaded by the Talibon Municipal Mayor Restituto B. Auxtero, were also launched on that day including the Asenso Sa Baroto Project, and the “Patubig sa Barangay, Kahimsog sa Panimalay Project” aside from the launching of a major tourism project which is the development of the Pres. 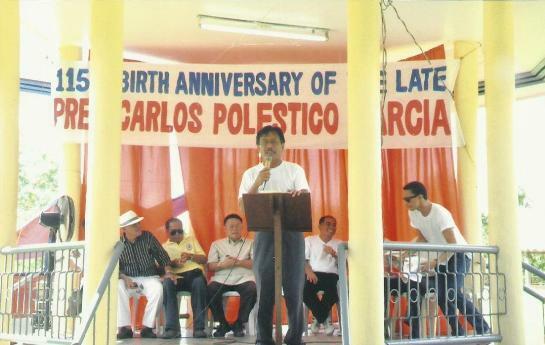 Carlos P. Garcia Ancestral Park at Sitio Loy-a, San Agustin, Talibon, Bohol. But it does not end there. Lined up for the day also were the blessing of the newly acquired LGU Fire Truck and the groundbreaking for the new Municipal Health Center of Talibon. Of the “Bisag Saging Basta Loving" Project, 127 farmers coming from different barangays were benefited: San Agustin (48), Santo Niño (24), Balintawak (12), Rizal (14), San Roque (10), and San Carlos (19). Mr. Pablo Autida of San Agustin received the highest pay-out of P16,000.00 for 800 banana plants (9 months and above). 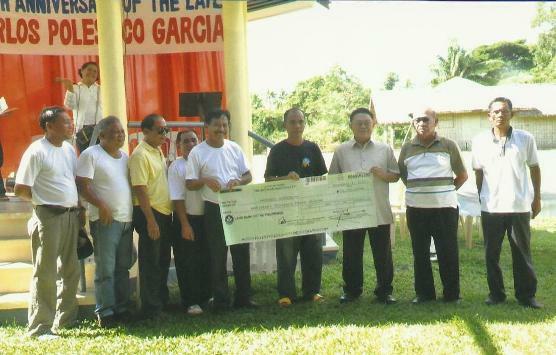 He received a ceremonial “giant” Landbank cheque of P16,000.00 from Tatay Billy and Mayor Auxtero. 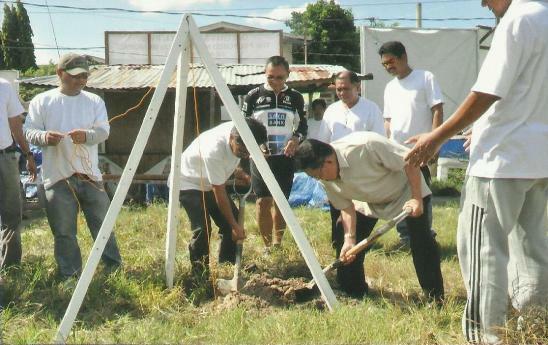 The Implementing Agencies of this project is comprised of the LGU-Talibon headed by the Municipal Mayor, Hon. Restituto B. Auxtero, the Municipal Agriculture Office (MAO), and the Farmers’ Information and Technology Service (FITS). Cooperating Agencies are: Department of Agriculture, Provincial Agriculture Office, Agriculture Training Institute and the Department of Trade and Industry. 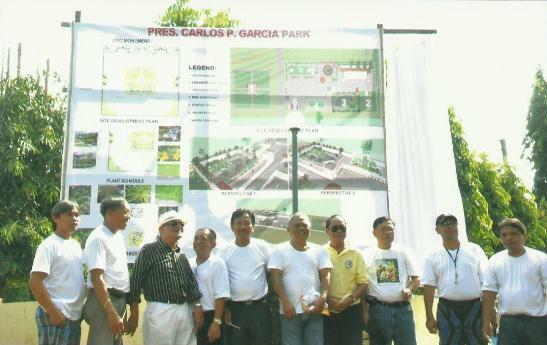 The project is envisioned to last until July 2015, starting last June 2011. Budgetary requirements are set at Php 1,000,000.00 (P500,000.00 from the LGU and corresponding share of P500,000.00 from Farmers’ Equity. Banana is one of the most widely grown fruits in the Philippines. 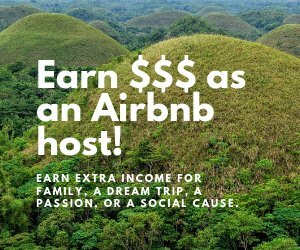 Although it is not used as prime food commodity, it is one of the country’s major dollar earners. It is a good source of minerals and vitamins. Statistics shows that the earnings from the Philippine Banana Industry already reached $151.1 million this year. 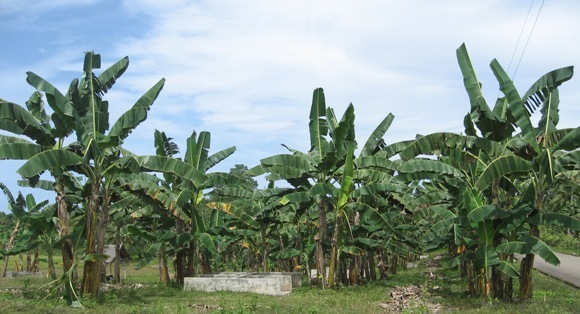 In this municipality, banana is one of the major sources of income of farmers. It is a substitute for rice and is also utilized as animal feed supplement, sold as banana cue in most schools and universities and processed as banana chips, catsup and vinegar. The relevance of this commodity is so manifested when it was chosen as the commodity for several municipalities under the OTOP (One Town One Product) program of the provincial government. Based on the local survey conducted by MAO-DA, The Talibon Public Market, has an average sale of 250 bunches per week excluding the sale made in farm lands. Most farmers claim that their banana fruits had already a buyer even if it’s still young. This only shows that there’s a great demand for banana even in the local market. This encouraging demand for banana production indicates also that there is a need to improve the technology and quality of banana for sustainable agribusiness. The Technical Working Group (TWG) came up with the following objectives, generally, to increase the income of the marginal farmers by indulging in banana production. 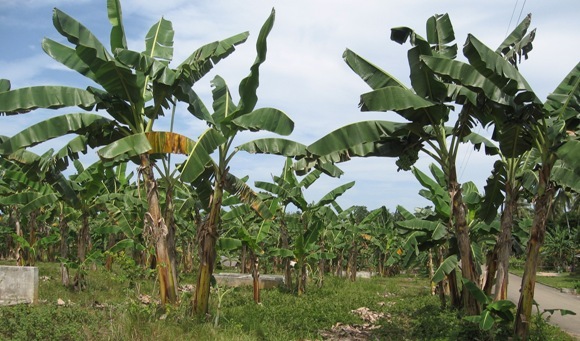 Specifically, the objectives are: 1) to increase the number of hectares planted to banana by the end of 2013; 2) to increase the sales from 250 to 300 bunches per week; 3) to increase the weight from 10 to 15 kilograms per bunch; 4) to be able to showcase the difference between controlled suckers and the old farmers’ practice; and lastly 5) to be able to know the control of pests and diseases of banana especially the “bugtok”. 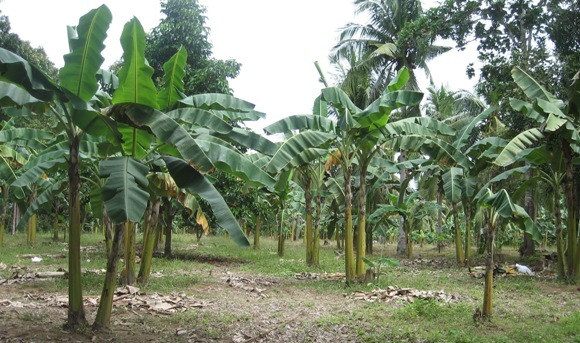 The project was described simply as the planting of banana following the new package of technology using preferably the cardava variety in 15 inland and coastal barangays of Talibon. The distance of planting should be 5x5 meters using the square method and 3x3 meters for table bananas like latondan, lakatan, cavendish and others. The depth of planting will be 1 foot and the hole will be ½ meter square. With the proper implementation of the Bisag Saging Basta Loving Project, expected are the improved productivity of existing banana plantations; the increased production of high quality banana fruits; the utilization of non-cultivated area into a productive one; the creation of market linkages to other business sectors; the establishment of one banana packing house; and thus in the long run, to generate additional income of farmers. The Bisag Saging Basta Loving Project is expected to alleviate the living conditions of the farmers in all 15 barangays namely: San Roque, San Agustin, Balintawak, San Jose, Sto. Niño, Tanghaligue, Bagacay, Burgos, Rizal, San Carlos, Sikatuna, Magsaysay, San Isidro, San Francisco and Zamora. The Talibon Foundation Day – Why April 22?